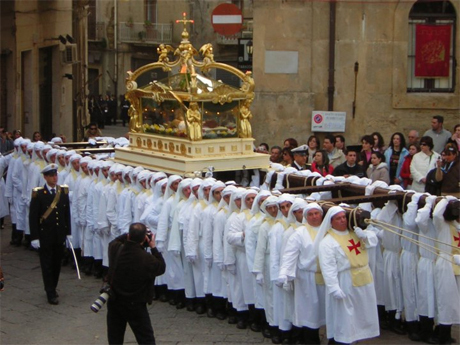 One of the most suitable periods to visit Sicily is certainly the Holy Week and Easter. Above all, it is the right time to to visit the places where there are still traditions that are handed down from generation to generation. As it happens in Enna. 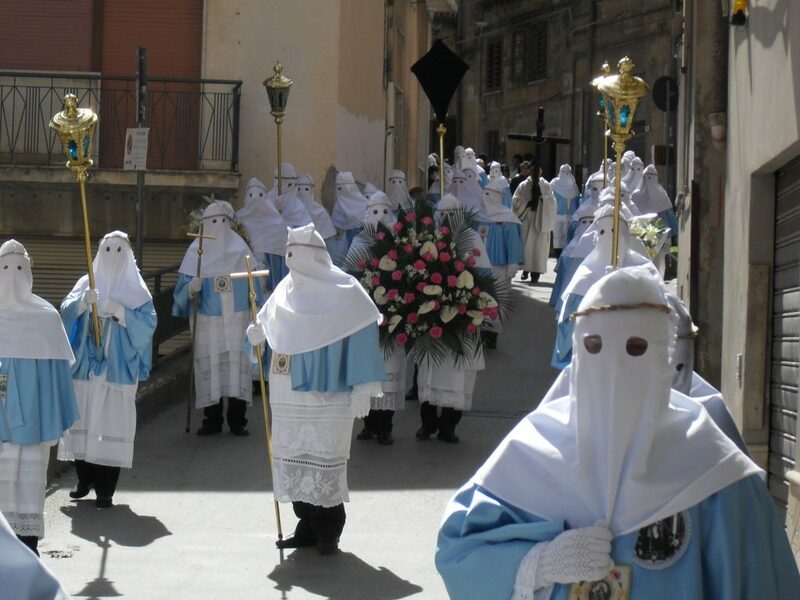 The celebrations of the Holy Easter in Enna attract hundreds of tourists: they are among the events to attract internation tourism in Sicily, considered intangible heritage of Sicily. The Holy Week is also a protected asset by UNESCO. Easter festivities start on Palm Sunday with the Procession of Jesus and the Apostles and the entrance of Jesus in Jerusalem, at the Sanctuary of Papardura. The most important moment is during the Holy Friday procession when all the confraternities go to the Cathedral for the Solemn Procession. In fact, more than two thousand hooded confederates walk in procession before the “Vare”of Christ and His Mother, starting the funeral procession that will cross the city. This year, from April 1st, the images of Holy Week 2019 will be visible in places of greatest tourist attraction: posters of the celebrations in Enna will be displayed in the airports of Catania, Palermo and in the arrivals sector of ferries in Messina. At the Galleria Civica in Enna the painter Paolo Previti is already creating an artistic path dedicated to the Holy Week of Enna. A path in which “you can feel the suffering of the Cross and the Light of the Resurrection” as the artist himself says . This path will be inaugurated Saturday, April 13th and will be open until April 21st. To reach Enna and live this experience personally contact us, we will be happy to organize your private transfer! Sicilian cuisine is at its best during the festivities: Christmas, Easter and Carnival are typical examples. 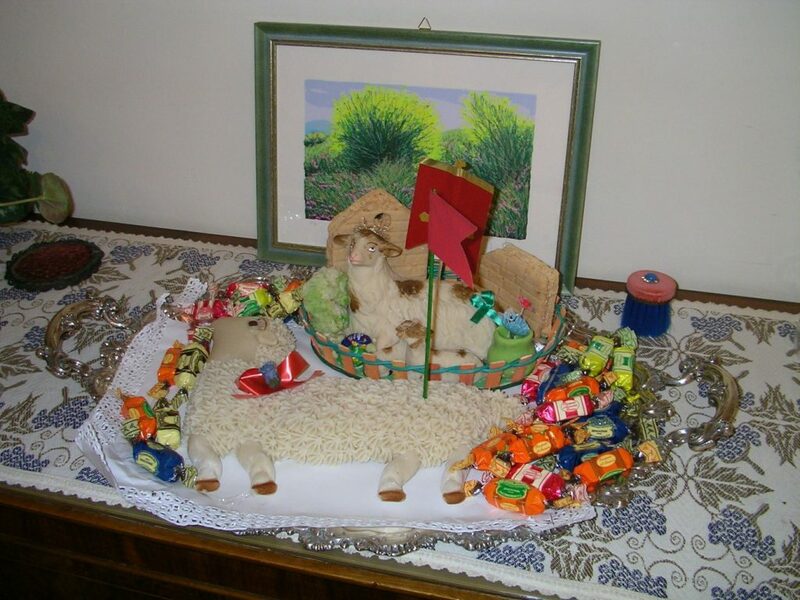 At Easter, among the most common dishes, we find especially lamb baked in the oven with potatoes. In the windows of pastry shops the lamb in almond paste is the master. 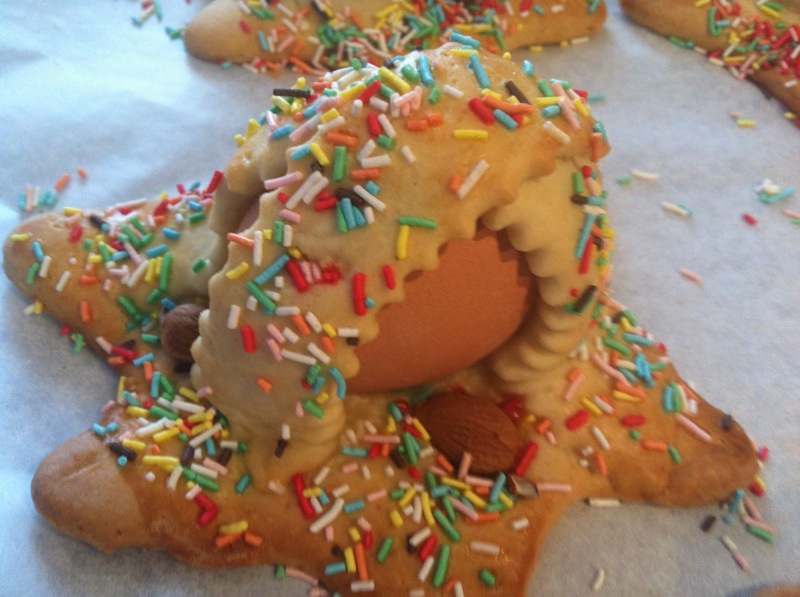 A simpler but certainly appreciated cake is a biscuit with one or more hard-boiled eggs in the center: cuddura cu l’ovu. All you have to do is come to Sicily to live a unique experience: Easter in Sicily between tradition, religion and good food!